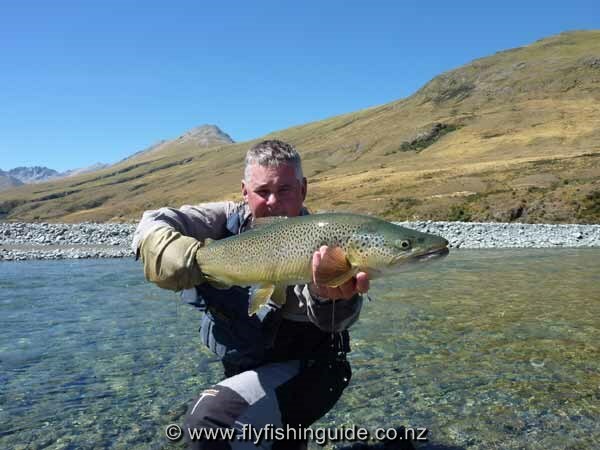 Franck is a long time client and this year is his fourth trip to NZ. It's always great to have him back because I know we are going to catch a lot of fish! 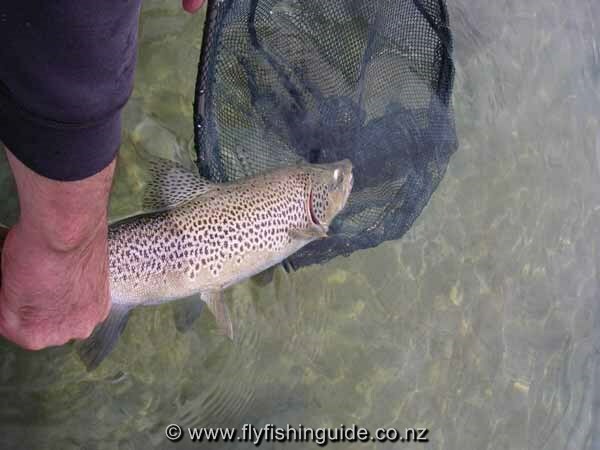 From mid-February over a 10 day period he landed (and released) 45 trout nearly all sight fished. This average only slightly down on Michel's 12 day stint the previous month where exactly 60 were landed. Conditions were very good for Franck, only 3 or 4 windy days, the rest hot and calm. A big change from his company accounting job back home in Normandie to the wide open spaces of the Mackenzie District. In France, Franck basically doesn't fish at all preferring to save up his holidays for a twice a year trip to Austria and the occasional trip downunder. No guesses as to where he would choose to come more often if the distance between the two countries wasn't so great!" 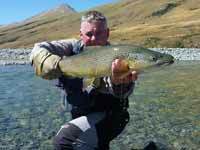 Franck with a super "fario" trout. Another brownie on his way back home. 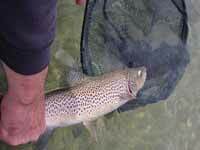 Note the fine net mesh for easy release.